Smart Retail also provides all the resources for your business, from the computers and touch screens through to the printers, security cameras and the Point Of Sale software. If you don’t want to buy consider our low risk rental solution. Touchscreens provide fast access to any and all types of digital media, with no text-bound interface getting in the way. Faster input can mean better customer service in restaurants, hotelsand retail stores. Space is valuable, so you want to use it efficiently. 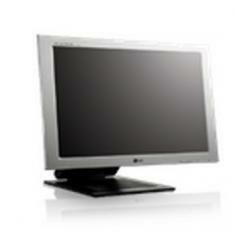 Touch monitors ensure that no space is wasted. A touchscreen is made of glass or a similar hard-coated surface. So it’s easy to clean and therefore well suited for the environments found in restaurants, hospitals, and the food and pharmaceutical industries. Touch screen-based systems virtually eliminate errors because users select from clearly defined menus. 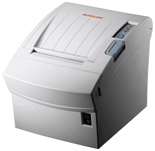 The BIXOLON SRP-350 thermal printer is all you need. Fast and reliability. 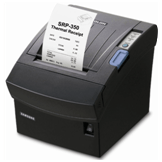 The SRP-350 thermal receipt printer offers simplicity for the operator with drop in and print paper loading and ease of connectivity for the technician. The modern design and small footprint enhance any environment. The SRP-350 is an ideal single station thermal receipt printer for Retail, Kitchen environments and Hospitality applications and also offers the same ultra-reliable quality you have come to expect from BIXOLON. 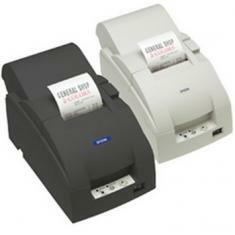 Direct thermal bar code label printer provides top quality label printing for any application. With a print speed of 5 inches per second the SRP-770/770II will keep pace with the demands of the toughest applications and its high print definition ensures excellent readability, even when using the smallest text and the latest bar codes. The SRP-770/770II is the only printer on the market that provides printing on1inch to 4inch wide paper at an amazing speed. It is the perfect printer for applications that need to print a large amount of information on a receipt . The SRP-770/770II can produce direct thermal labels for retail, warehouse, shipping/ receiving, medical and many other applications. Add bar codes, text, graphics and variable fields for sell/use by dates etc. Up to 10 counting fields for serial numbering, batch numbering etc. POS Station Security Methods – Controlling access to registers is important in any POS environment. Most POS system software allows you to set up system users with password protection. These secured accounts allow and restrict access on an employee by employee basis depending on their job position. For example, users registered as cashiers would be able to log on and use one register, but would be restricted from using more than one register at a time and would have no access to the management functions of the system. Supervisors may have access for supervisory functions at any register, and have limited access to system management functions (such as checking warehouse inventory or adding to orders. 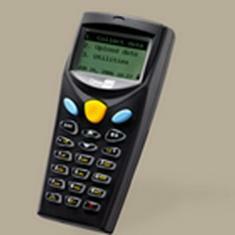 The key is that the POS system software allows you to control who can do what with the POS software. User names and passwords take time to enter on the keyboard, and generally aren’t as secure as “physical” methods of logging on. 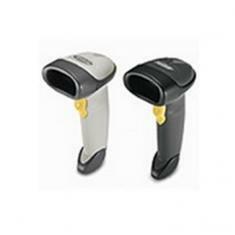 Barcode Scanners – Since most POS systems have barcode scanners attached, using them for employee login is simple and economical. The employee scans the barcode on their employee badge to get access to the system. There can still be a problem with security using this method however, if the employees are allowed to let other others use their badges. Magnetic Stripe Readers – Similar to the barcode method, the system login information is encoded on the magnetic stripe of the employee id. The employee used the POS’s credit card reader to log in to the system. This method has all the advantages and disadvantages of the barcode scanner method. Fingerprint Readers – Fingerprint readers add a level of security unattainable by using barcode scanner or magnetic stripe readers. 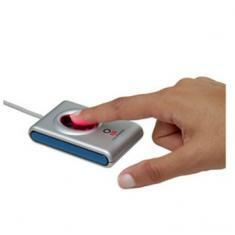 Fingerprint ID software and hardware are usually an add-in to the POS system software. The ID software logs unique information associated with the employee’s thumb or fingerprint, then uses this information to determine the identity of the person attempting to log in. 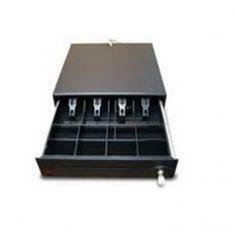 x1 Cheque slot for non-cash or large-bill transaction. 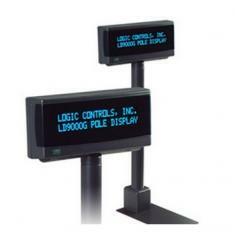 The Samsung BCD-1100DG Pole Display is a slim customer display that provides your customers clear, easy-to-read information at the fastest data-transfer rate available. The easy-to-use VFD display makes at attractive communication with customers by its fascinating design and rich colors. The BCD-1000 is a 2X20 line 5mm character height display. 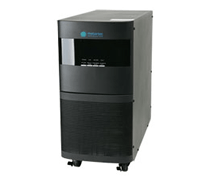 User-definable characters and a built-in real time clock are all standard features of the unit’s firmware. Has better visibility due to an optically matched lens and wider character pitch. Best of all, this premium pole display is also one of the most affordable on the market. The innovative LS 2200 Series of handheld scanners from Symbol Technologies delivers performance features at an affordable price to make your buying decision easier than ever. If you are seeking investment protection in a scanner that’s small and light enough for maximum productivity, then the LS 2200 Series is the ideal scanner for you. Employee Theft – 83% of all employees steal. One third of all business failures have been linked to losses from employee theft. Trusted employees are often the most likely to steal, usually because the opportunity arises. Often a good employee begins to feel justified as a “silent partner.” Video cameras reduce the temptation that honest people feel. The size and amount of theft varies from industry to product. 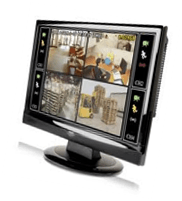 Security cameras and monitoring systems greatly reduce employee theft. Cameras monitoring rear entrances and side exits are often enough to reduce theft. Over 40% of small businesses use video camera monitoring when they have a problem with employee theft of products and time. Training ~ Through the audio and video tape. It is easier to show an employee a situation or an incident than trying to explain it to them. It also offers the added advantage of being used as a positive tool rather than a negative one. Most people do not like to be verbally reprimanded (though it is necessary at times) so rather than reprimanding them simply show them the video and ask them if the situation could have been handled differently. Liability ~ Many insurance companies will discount their premiums when CCTV is installed. Customer Service ~ Can be improved by 20-25%. You will see how your employees interact with your customers, how situations are handled and if your customers are being treated as they should be. Shop Lifting ~ 1 out of 10 “customers” will shoplift in a retail business (but not when an CCTV system is in operation). Small shops with close proximity to small items are pilfered constantly. Video taping is the number one deterrent to shoplifting. Record stores, hobby and candy stores, cosmetic shops and pharmacies report dramatic reductions in theft by “five-finger discount” by using CCTV systems. Armed Robbery – Most violent of business related crimes. Armed robbery is the most dangerous and often violent of crimes business owners and employees face. A surveillance camera reduces crime greatly. Fast food and convenience stores are a primary target of armed robbery. The primary choice businesses make for reducing armed robbery risk is to install video recording and monitoring systems that use today’s technology for image recording. Suggestive Selling – Increase gross and net profits. Employee Productivity – Increase production by 15 to 20% when they know they being watched. Multiple Locations – Save time and money by being able to monitor your multiple locations anytime from anywhere in the world by using any computer with Internet. You can even view multiple sites at the same time using our digital video recorders and their multi-client software. Vendor Theft – This is an area of shrinkage which is commonly overlooked. Vendors deliver supplies and products to your business. You don’t always have time to watch. They may say they delivered 24 cases of this and 10 of that, but did they? They have easy access to your storage/warehouse areas by virtue of you trusting them, and some may take advantage of this easy access by helping themselves to items not paid for.